This guide is for changing an existing email account's SMTP server from your ISP to StudioCoast only. 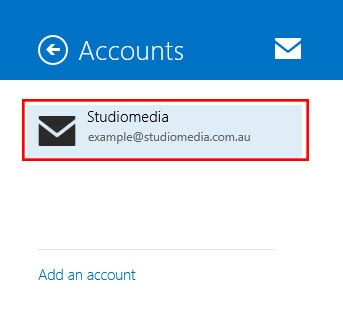 If you need to setup a new Email account with Windows 8 Mail please click here. 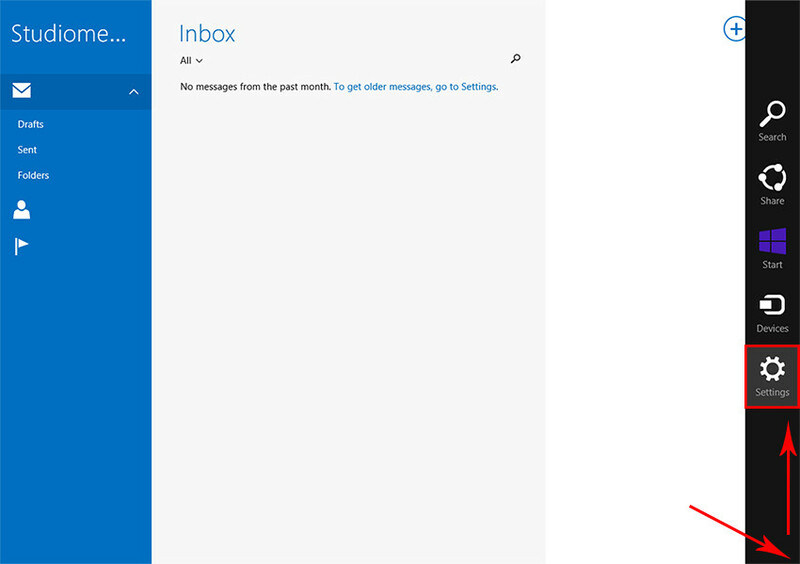 Open up Windows 8 Mail. Point your cursor up to lower right hand corner and start moving it upwards for the sidebar to appear. Select the "Settings" button. Outgoing Email Server: Your outgoing mail server will be the same as your incoming mail server. After that, you are complete! These new settings should save automatically.